Prime Minister Imran Khan on Tuesday assured overseas Pakistanis that the country's green passport will soon bring them honour around the world. 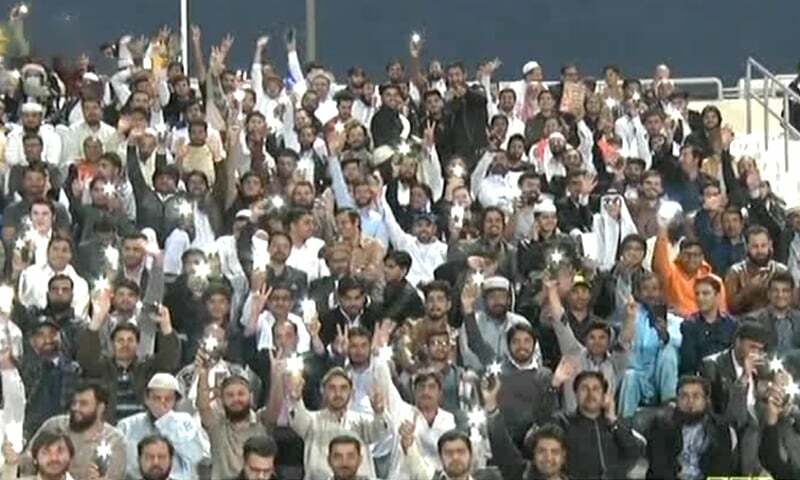 The premier was addressing a gathering of Qatar's Pakistani diaspora at a stadium in Doha on the conclusion of his two-day visit to the wealthy Gulf nation. 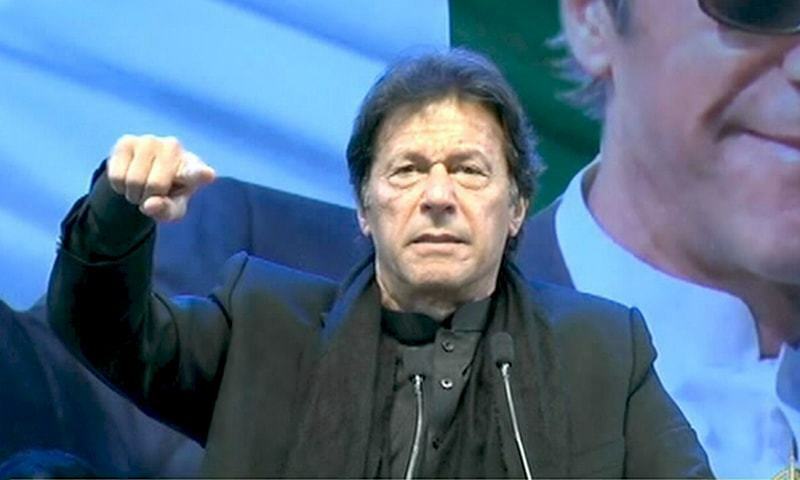 Khan expressed the confidence that Pakistan would earn sufficient money from the tourism sector in the coming days that would eliminate its need to borrow dollars from other countries. "Malaysia makes $20 billion from beach tourism [while] our total trade is worth $24bn," he said, adding that Turkey also makes $40bn from tourism. He reminded the audience that Pakistan has historic sites like Mohenjo Daro as well as some of the oldest cities, including Peshawar, Lahore, and Multan. He said the scenic mountains of the country are considered the best in the world. The holiest sites of the Sikh religion and holy sites of Hinduism and Buddhism are also found in Pakistan, he added. Terming expatriate Pakistanis "heroes", he said the country was standing due to their remittances. "And those who thieve money from the country and send it abroad are the villains of the country. Do you know who are they? I have declared a war against them," he added. "Our rupee is devalued because we don't have enough dollars," the prime minister said, adding that corrupt people stole money from the country, purchased dollars from the ill-gotten money and laundered it abroad. "Let me explain to you the situation [I inherited] in cricketing terms," he told the audience. "Suppose that when I went for batting, we had already four batsmen out against only 20 runs ... as you know I know how to play under pressure [so] our partnership has now started to yield — Miandad and Khan are now standing on the crease." "A time is coming when you will not need to go abroad in search of jobs," the premier promised. He said there was a special blessing of God on Pakistan, where "there is no shortage of anything". Citing the examples of Qatar and several African countries with natural resources, he reminded the expats that a country does not become rich because of money, but because of "good governance". He said certain African countries remain poor despite having minerals and gems because of their governments, but Qatar owes its wealthiness to its capable leadership. He quoted Qatari businessmen as saying that although they were willing to invest in Pakistan, they could not do so because of corruption and a complex system of taxation. Prime Minister Khan said the government has already reduced the number of taxes from 36 to 16. He claimed that his was the first government in the country's history which has been in office for six months "but no scandal of corruption has emerged". 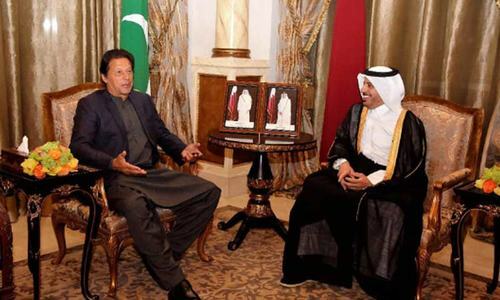 Earlier on Tuesday, Prime Minister Khan met the Qatari emir, Sheikh Tamim bin Hamad Al-Thani, at the Diwan-i-Amiri in Doha. A red carpet was rolled out to welcome the premier at the Amiri Diwan where a formal ceremony was held in his honour. 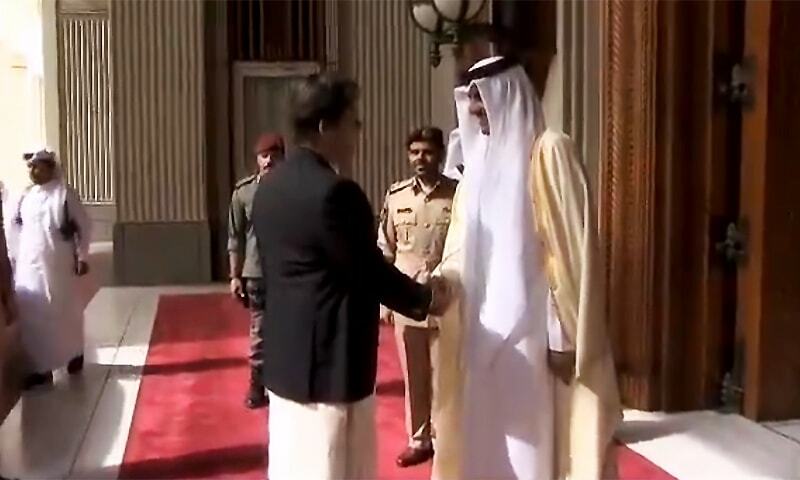 Khan was presented with a guard of honour by a smartly turned out contingent of the Qatari Amiri Guards, and the national anthems of both countries were played on the occasion. A one-on-one meeting was held between Khan and Sheikh Tamim, Radio Pakistan reported. Both sides discussed the entire spectrum of bilateral ties, and regional and international matters of mutual interest. The two sides also held delegation-level talks. The prime minister had flown to Doha on Monday at the invitation of the Qatari emir. He is accompanied by Foreign Minister Shah Mahmood Qureshi, Finance Minister Asad Umar, Petroleum Minister Ghulam Sarwar Khan, Adviser to the PM Abdul Razak Dawood, Special Assistant Zulfikar Bukhari, Board of Investment (BOI) Chairman Haroon Sharif and chairperson of the task force on energy Nadeem Babar. Prime Minister Khan had yesterday discussed bilateral relations with a focus on economic cooperation in a meeting with the Qatari premier and interior minister, Abdullah bin Nasser bin Khalifa Al Thani. The ruling Pakistan Tehreek-i-Insaf (PTI) has been criticising the contracts signed by the previous PML-N government for the import of LNG from Qatar at a price equivalent to 13.39 per cent of the international benchmark crude oil price, and two terminals set up by the private sector for re-gasifying imported LNG. 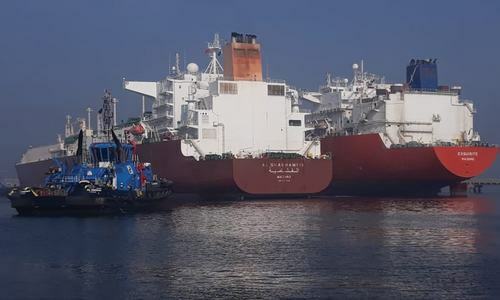 Petroleum minister Ghulam Sarwar Khan said that the government would abide by the 15-year agreement with Qatar and another 10-year contract with another supplier that became the basis of the final LNG price with Qatar. imran doing what he does best , collecting charity . Qatar is with the government of Pakistan, not with a convicted leader like NS. No wonder NS withdrew fake 'Qatari letter' during his recent trial. Same Qatri Emir was humiliated by Khan several times. What a next U turn! Let's hope that more workers from Pakistan goes to Qatar. How much he requested in AID .? I love that he wear Salwar Kameez with pride. Is this the same Pakistan they had written off in 2008? Progress on 100,000 jobs for Pakistanis in Qatar? Why should it interest modi trolls so much? @imama, IF he met the kids, the people like you will say ohh he is doing photo shoot. I bet people who are criticising IK have never paid taxes. Start paying your taxes honestly and then your Govt would have enough money not to ask other countries for consessions. 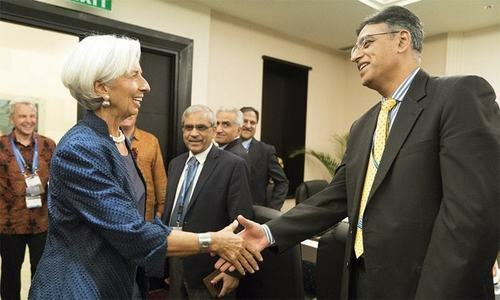 He's still doing admirable job by not taking easier route of taking even more loan from IMF. He's saving Pakistanis but they would never realise it. I'm really glad to see them working on basics like the price of gas import etc.. It shows this Govt is working for a comman man! Don't make things up for false propaganda sake! Tough job for Imran khan to take Pakistan out of the abyss that the previous rulers have placed us. Political alliances and negotiation is paramount to this goal. He is doing what is good for the country. Khan Saheb you should be in a Sherwani a guard of honor is a formal ceremony. @imama, These visits are planned in advance, you don't delay a state visit for gods sake. @M. Saeed Awan, get your facts right before commenting. IK has so much respect from all foreign leaders that they are honoured to meet him. And close allies, want to help in overcoming pakistans economic situation. If Qatar steps forward to assist, then IK would have met a real achievement. Coming out of a crisis without going to IMF. Neighbours would be envious at us having such a leader, wish they had one a quarter % so good. @nit , I would have done the same for my poor people who have been looted by the government since the British. @imama, A PM’s responsibility goes far beyond couple of kids, it’s about 200 million citizens, countries economy, that affects every child in the country. I’m not by any means being heartless about the recent incident, read my comments if they made it on DAWN, I’m very critical of PM about his tweeting and no real leadership. PMIK is doing the right things at the wrong time. Glad to see that he is copying Modi formula for foreign trips. In short, any loan coming? If not the meeting is simply an escape game from crisis in Pakistan. PM Imran Khan is establishing relations with other countries based on mutual respect and close cooperation. What Asif Zardari and Nawaz Sharif did was promote their personal agendas of corruption, harming national interests. The world respects Imran Khan as he is honest, no one respected previous leaders who are facing massive corruption charges before the Supreme Court. No politician can be above the law. Aid, loan, grant ! call it what you want. You still got to return it. Unless there's a catch somewhere that we don't know. So nothing gets changed in LNG? Why arent we going to SC over Khaqan abbasi alledged corruption? Why are people complaining if he is getting money for Pakistan. PML(N) trolls are so funny they don't even know when to complain. @M. Saeed Awan, for your kind information he is not the same Emir who you think. Kindly do your research. @Ken, Because neighbours have not seen an honest leader themselves and know, that given a good leadership, pakistan will leave them galactic years behind. @Prateik, "PMIK is doing the right things at the wrong time." When would have been the right time in your esteemed view? Don't just make sweeping statements sans logic! India has sought Qatari investments in key sectors such as petrochemicals, infrastructure and agriculture. The Indian side mentioned that bilateral trade in 2017-18 was USD 9.9 billion and Indian exports to Qatar during this period registered an increase of 87 per cent over the previous year. Qatari investors were invited for areas such as petrochemicals, infrastructure, agriculture and food processing. @nit , pmln and ppp doing what they do best, looting. @Ken, "Our neighbour country is jealous of him they knew it he is big danger to them"
News looks great ; however having PM's footage from political party's twitter account does not look nice. Wouldnt it be better to see this coming from govt's twitter account (if possible)? @G, he’s trying to sort out the mess created by the PML-N & PPP looters & thieves that almost bankrupted the country. So please think before writing such negative comments. If Pakistan is bankrupted by Shariffs and Bhuttos, what else choice he has- if not charity? Be thankful he is working honestly.? In these testing time, khan is still optimistic and trying his best for the people. Sir, you first priority should be ROTI, KAPDA, aur MAKAN that what 98% of us want. @bhaRAT©, if you don't want to see comments, then media should go offline. Internet is public forum. People with medieval minds need to get adjusted to reality, not the other way round. Let us talk about trade now. atleast they are trying not to borrow rtom imf. previous theive government was filling their pockeys before peoples pockets. ppp and pml shoud have their assetts confiscated.they are all ill gotten wealth with poor peoples blood on it. @Dr. Salaria, Aamir Ahmad, sorry i had to comment, you always use the phrase "hang on tough".. however the phrase is "hang tough"
Poor people, listening to the same speech over and over. Buying promise after promise and dream after dream sharing a fool's paradise. PMLN to blame this for official visit to Qatar . If economy was in good shape IK wouldn't go to Qstar fior begging all NS fault messed up the economy At the moment green passport is top 3rd ftom bottom IK tenure will jump up to 1st from bottom as most of people will migrate to abroad for job hunting . @sam, dont need him to do that for us, just want him and his cronies to pay a fair tax... is embarrasing every year when these billionaire politicians release their tax returns and they all pay a couple of lakhs..
Captain is doing some really good work and results will yield soon if not now. Don’t judge him in 1-2 years time like some people are doing to Modi here. Bitter medicines are required in South Asia for better future. 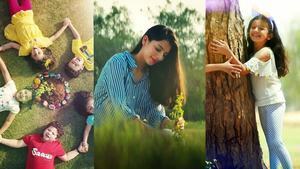 @RAja Raman, "@bhaRAT©, if you don't want to see comments, then media should go offline. Internet is public forum. People with medieval minds need to get adjusted to reality, not the other way round." A VERY Good comment. @Na Maloom Afraad , Indeed, he is trying to be the Modi of Pakistan. Good luck. Someone should inform IK that April fools’s day is not here yet. The passport does not itself grant respect or disrespect. A country's actions and behaviour and those of its leaders do that. So IK has to go to Qatri Prince! Since last 4-5 years, Pakistani passport is among the worst 4. Making tall claims and taking U-Turns has become IK's hallmark. The Saudi patrons won't be happy with the Qatari visit. Don't be surprised if the Saudi cheque bounces. We have to first sort out our back yard and make country corruption free, more educated, having good health and security systems along with encouraging foreign investment and being financially and politically stable. These are the basics that we have to focus upon and, once we have done then our respect and integrity will raise our level - these are uphill challenges and will take long time to change corrupt mindsets and people's perceptions. Mr PM, we need justice reforms, economic stability, create jobs, and elimination religious extremism and above all, elimination of corruption, if we can bring all that change, the green passport will be respected, honor comes from being on the right path, not promises. Before labour export to the middle-east, Pakistani passport had its due respect in the community of nations. Labour should be issued with a travel document, not a passport. @nit , and the previous governments were collecting personal rainy day funds. @Zak, then why don’t you leave the white countries you criticise and return to your beloved motherland rather than being a hypocrite. Before giving lessons on "medieval minds" go check which nation wants to live in the past and is hindufying history? If you really feel so left out in your own country that you need to vent your frustration here then instead of making sweeping statements, false propaganda, urge to gloat, snigger, scoff and laugh, learn to make sensible comments! Proud of Imran khan and his selfless efforts to bring Pakistan back from the brink. @Javed, "Before labour export to the middle-east, Pakistani passport had its due respect in the community of nations. Labour should be issued with a travel document, not a passport." Best days come on one day. Nobody knows when that day would be. Without offering strategy making false statements doesn't cost. Dreams are free. @nit , And you keep on burning in the fire of jealousy. There are a lot of enemies from across the border writing negative comments here, Shame on all of such people. Dear Prime Minister, will any " tourist " want to come to Pakistan now that the world knows how the out of control police are killing civilians in the country? Which "tourist" will feel safe to come here when Pakistani citizens now fear to venture out?Please cancel the trips abroad and get you're house in order. The butcher of Karachi Rao Anwar is still roaming free, how can this be? Total reform of the police is needed. I guess every can dream. PM's news should be tweeted from PM Office's tweet not from PTI's. He is PM for all Pakistanis including who don't agree with PTI. Please correct and behave like mature nation. Dear Imran - great idea to expand tourism. Many of us would love to travel to Pakistan, for sight seeing, pilgrimage, shopping and especially enjoying mouth watering Pakistani cuisine. But will be the ones holding the guns allow bars/bathing-suits/relaxed lifestyle which Malaysia/Turkey/Qatar/Dubai allow ? Why even make such redundant statement? We already feel honored since you’re our PM. Who is Modi? Is he by any chance the guy of ' Gujarat 2002 fame'. IK has clean record never persecuted any minorities. This Scam is being flaunted to the Pakistanis who are not able to think for themselves and or make any progress even with the Loans of Billions. Just a matter of time when the Chinese will own CPEC land. Prime Minister Imran Khan is a good leader for Pakistan. He is step by step, resolving all of Pakistans problems. I think in 5 years, Pakistan will be a changed country for the better. @Ken, Why would any country on Earth be jealous of Pakistan?? One thing that needs to be done is to impose heavy penalties + Prison for those Pakistanis who become overstay in overseas or engage in any illegal activity. Once this law is not only just passed but acted upon, you won’t see pakistani’s doing any activity in overseas that will defame our country in any way At the same time, you need to have a pact with foreign countries to deport them handcuffed to Pakistan so our govt takes action against them. Take all measures that helps Pakistan to have visa free travel. If you create employment opportunities, give quick justice to all specially to minorities, control inflation and enhance the quality of life, no one would leave Pakistan except for tourism and business. @bhaRAT©, why Modi is brought over here? IK has paid only few lakh rupees in taxes which is not commensurate with his life style prior to becoming PM. Most of his life, he had been a free loader. Turkey and Malaysia are much more developed countries, don't compare Pakistan to them please. IM government should have a cabinet post for Loan deals. Pakistani visa is the fifth hardest to obtain in the world. While in many places, tourists are issued visas at the airport. Why should people go through the trouble of applying? People who seize power dont deserve it. @imama, are you his wife??? When will it bring? Specify a year. @omveer, The catch is: previous leaders filled their own coffers with the charity, aid or what ever you want to call it but Captain won't take a single penny of it. Even his worst enemies know this, he may be incompetent and might turn out to be a complete failure but he's sincere with the people and honest with their money..
@M. Saeed, don’t you know that cynicism is the lowest form of wit, so try to be positive, be thankful that here is a PM who cares enough to travel abroad to drum up new businesses, gets expats to sent hard currency home and lowers LNG import prices, he is doing all this for us, that’s what he does, he puts us on top of the world, he builds hospitals, he is doing his best to fix Pakistan, he is a man of action. Stop telling lies, this stroy has been repeated many times in the past. First we need to respect ordinary citizens rights inside the country before foreigners start respecting us outside. You should have delayed your trip to Qatar and show some empathy and respect to poor family who lost everything in Sahiwal. This not at all a well left..in cricket terminology. @Rajesh, " Why would any country on Earth be jealous of Pakistan??" This is the question that puzzles us all the time. We don't do anything right and still people are jealous with any hint that something right may be around the corner. Why should we be reminded all the time that we are in a mess? We know it, what's the point? To answer your question: we would be really depressed if we were completely ignored, but we are not ignored, far from it. If you want us to realize that we are nothing, you need to ignore us totally, we know you can't. @bhaRAT©, Does it hurt your feelings? When he makes statements like ' ..earning from tourism etc '.....he displays him complete lack of understanding of the bigger picture. It has become a national past time to live in future. @Zak, now that he is in power perhaps he can pull the long suffering minorities out of persecution by all and sundry in Pakistan! @BAXAR - I think you guys are mistaking "contempt" for "jealousy". @Zak, imagination overpowering intelligence as always when the eyes open turns out that the currency has lost another 50% value . The reason we don’t improve is we move to extremes very quickly. IK is undoubtedly the most honest and dedicated leader we have had in a while but even then the problems of the day don’t depend on his character . Unless there are seasoned technocrats that make bold decisions we will be going to imf every other year . People are reflection of a society when they are in a different country. How you can change people's behavior to get passport a respect? Only hope is education, education & education with values built in across all Pakistan to raise Pakistani standards, otherwise educated class without values has already destroyed all institutions. People have been taken on merry go round by fake promises for decades. We will believe it when we see it happen. @G, then suggest something better if you could think of. @Zak, Flights of fancy and day dreaming do not cost anything. So go indulge yourself as much as you can. A great leader with a great vision. Imran Khan is the man who will change Pakistan and he’s surely got the right direction. Kill corruption and keep going.